If you’ve got an upcoming trip planned, we have a few tips to ensure you have access to your money while you’re out of town. Here's all the information you'll need to make sure you can use your Northwest cards or access your accounts while on a trip. NWCU now offers chip-based cards. These cards are less susceptible to fraud and are more convenient for making purchases at international merchants. If you don’t currently have a chip card, head into your local branch to have one made or give us a call at (800) 452-9515 to have one shipped to you. Make sure your card(s) are set up on the CardValet App on your smartphone before you leave. CardValet allows you to temporarily disable your card, giving you a peace of mind in knowing that no one will be able to use it until it’s back in your hands. Submitting a travel notification informs the credit union that you are leaving the country and makes sure your cards won’t be declined or blocked. Northwest Community Credit Union keeps track of your transactions to ensure that we block fraudulent activity when possible. It's a good idea to submit travel notifications for any trips outside of the United States for your debit or credit cards. Please let us know at least 24 – 48 hours in advance to ensure the travel notification is in place before you leave. Note: you cannot submit a travel notification more than two weeks in advance. Go online or use the NWCU app to do a quick funds transfer from savings to checking so it’s available on your debit card immediately. If you don’t have access to the internet, give us a call at (800) 452-9515. 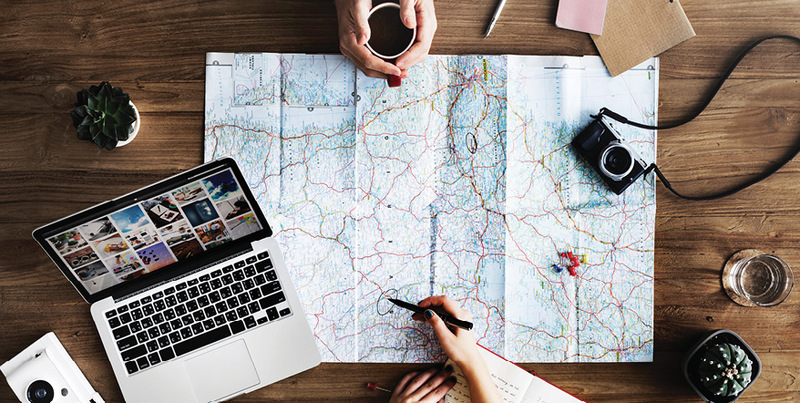 If your travel partner is also a member of NWCU, you can use online banking to do a member-to-member transfer to their account so you can access your funds from them. Afterwards, they can do a withdrawal at an ATM for you or you can share the funds on their debit card. Another option is logging into the CardValet app and disabling your card until it’s back in your hands. To do this, you log into your CardValet app, select the card you’d like to shut off, and tap the green ON/OFF slider. You’ll receive a pop-up message asking you whether you want to turn OFF your card. When you accept it, your card will have a red “on” icon, indicating that your card has been disabled. Lost your debit or credit card? If you’ve lost your debit card, call us at (800) 452-9515. If you’ve lost your credit card, call (844) 267-2735. ATM access is one of the best options for getting cash because the conversion and fee process happens automatically and you can choose to withdrawal from savings or checking. Make sure you know your pin to access these ATMs, and be cautious of your surroundings to avoid theft. When using your debit or credit card in a foreign country, there is a 1.00% fee of each transaction in U.S. dollars. For additional information on our foreign transaction fees, see our Visa® disclosures. Our Visa Rewards cards allow you to earn points or cash back every time you use them! There are many options for earning points and you can redeem your rewards points for everything from gift cards to your favorite stores, cash back, or book another trip! Learn more and apply for our one of our Visa Rewards Cards today! Need to Contact us During Your Trip? If you have any questions or concerns, call us at (800) 452-9515. If you don’t have phone service due to your travels, you can send us a Secure Message through eBanking.